There was an unprecedented outcry from many leading sustainability experts - especially in the United States - when Donald J. Trump was elected as president. Several challenges exist, but his lack of understanding when it comes to climate science and other environmental challenges, as demonstrated during the campaign process, is deeply troubling. There are many other difficult challenges, but from a global perspective there could also be a number of interesting opportunities. If the next US government continues with the campaign's disrespect for science, lack of interest in climate change, reluctance to engage in global challenges, etc., the US will find itself isolated. Such a situation presents an opportunity - one could argue a responsibility - for countries like China to take on a much more active role in global sustainability. Before we consider the opportunities, let's remember that while the US is still a very important country, it is still only one among many on the planet. US influence is also dwindling as a new generation of countries are emerging (and re-emerging) on the global scene. 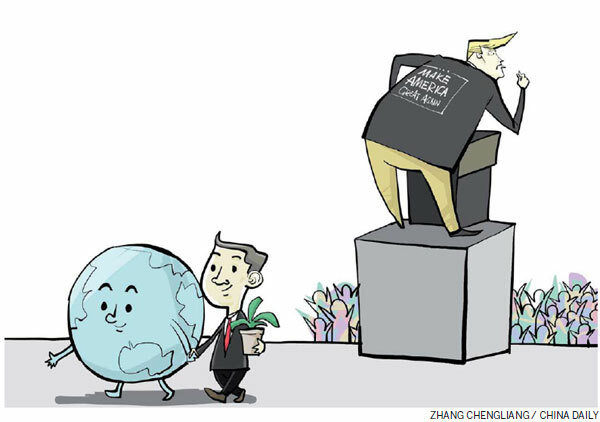 So, in some ways Trump's lack of interest in global sustainability issues could provide a situation similar to the one we would be likely to face anyway in a few years, where global leadership will come from outside the US. It is easy to forget that more than 7 billion people, 94 percent, of the global population, are living outside the US. Even from an economic perspective, 75 (nominal) or 87 (PPP) percent of the global economy is found outside the US. Given the current situation, the world is likely to be presented with an opportunity for significant improvements on a global level in three areas. First is the role of science in society. There is a significant opportunity for the rest of the world to strengthen the status and role of science. There is now room for a global science initiative with a huge budget and a mandate to begin the work to create new institutions. Such an initiative could be launched by the G20 and include all interested countries. This initiative could explore how we can increase collaboration around key future issues, from space exploration to the next generation of particle accelerators. Equally important is to strengthen the level of general education in society. Here, the media, both old and new, have a significant role to play. For the first time in human history, we could see a global science initiative by all major news organizations around the world. To ensure engagement from the younger generation, stakeholders like the Kahn Academy and leading science communicators, such as Derek Muller of Veritasium and video journalist Brady Haran, could help develop new ways of communicating science and support global scientific education. Not only is scientific knowledge important for many future jobs, it is increasingly important to understand the world as a citizen. Without an understanding of science, the assumptions, methodologies, probability estimations, uncertainty, global challenges like climate change and pandemics are difficult to understand. Second is global governance. With the withdrawal of the United States, the rest of the world could potentially see the first attempt at real global governance. This might be the most significant opportunity from a long-term perspective. We need to move from an international to a global perspective; we need to move from a reactive to a proactive agenda; we need to move from global competition to global collaboration. Perhaps most important, we need to move beyond an international perspective to a global perspective because members of the next generation see themselves as global citizens to a much larger degree than today. The urgent need to work together as a global community to solve global sustainability challenges has never been greater. 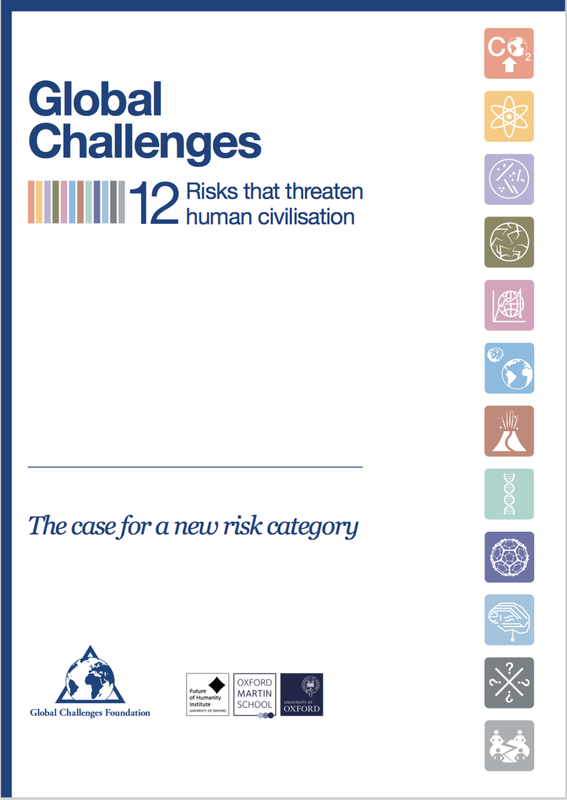 There are at least 12 global risks that threaten human civilization, and it is only a matter of time before the old structures need to be replaced or fundamentally reformed if we are to avoid a global catastrophe. 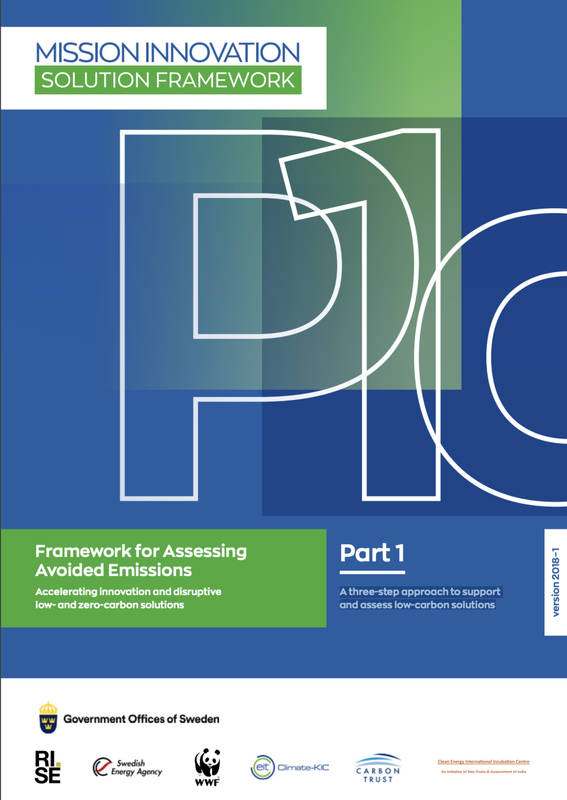 When structures fundamentally change, old stakeholders tend to cling on to what they have. With the US potentially becoming uninterested in proactive global governance, the probability for a smooth transition might now be higher than it ever will be. Third is city collaboration. For many issues we need concrete action all around the world. Climate change, for example, requires that emissions all around the world must be reduced, and that must start now. Slow progress in international multilateral negotiations so far will only be slower with a reluctant US. However, much of the actual implementation falls on local governments, mainly cities. New tools for city collaboration should be a global priority, as this could accelerate the uptake of sustainable solutions as well as strengthen global collaboration. In all three areas above, China has a leading role to play. China is one of the most, if not the most, science-driven society on the planet. Few governments have the scientific skill set or culture that China has. Its society is also supported by media, including initiatives like ScienceNet. It's a population that has significant understanding and respect for science. China, together with other emerging countries, has also made significant progress when it comes to new international financial institutions. The G20 presidency demonstrated China's capacity and interest in long-term global policy-making. In China, there are also several leading cities, such as Baoding, Hebei province, that are already leading providers of sustainable solutions. The country's network of low-carbon cities could become a core part of a global network of zero-carbon cities with global exports. In conclusion, we are likely to see some significant challenges and frictions over the coming years, but we should not ignore the unique opportunities for historic changes that lie before us. The author is the founder of 21st Century Frontiers in Sweden. The views do not necessarily reflect those of China Daily. This is an infographic done by BWA for the project linked to the report about a limited number of global risks that pose a threat to human civilisation, or even possibly to all human life. This is the executive summery of a report about a limited number of global risks that pose a threat to human civilisation, or even possibly to all human life. by changing both the products and the means of production used by 21st century civilization. The key development is advanced, atomically precise manufacturing (APM). The first section discusses the basics of advanced, atomically precise nanotechnology and explains how current and future solutions can help address global challenges. Key concepts are presented and different kinds of nanotechnology are discussed and compared. The second section discusses the development of nanotechnology, from the first vision fifty years ago, expanding via a scientific approach to atomically precise manufacturing thirty years ago, initial demonstrations of principle twenty years ago, to the last decade of accelerating success in developing key enabling technologies. 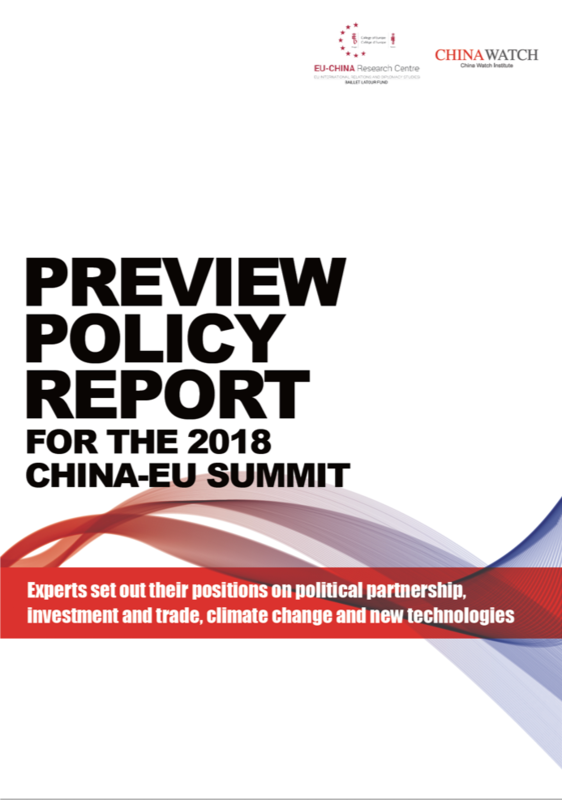 The important role of emerging countries is discussed, with China as a leading example, together with an overview of the contrast between the promise and the results to date. Here the different aspects of APM that are needed to enable breakthrough advances in productive technologies are discussed. The necessary technology base can be developed through a series of coordinated advances along strategically chosen lines of research. This section discusses research initiatives that can enable and support advanced nanotechnology, on paths leading to APM, including integrated cross-disciplinary research and Identi cation of high-value applications and their requirements. The final section provides a short summary of the opportunities and the possibilities to address institutional challenges of planning, resource allocation, evaluation, transparency, and collaboration as nanotechnology moves into its next phase of development: nanosystems engineering.